1. Make a list of everything you want to get done, and group similar items together - I loved this one. Normally I write out my lists in a day to day format, but organizing my to-do's by similar items like this actually let me knock out more things at once. 2. Monday morning, get one thing done immediately - YES! Firm believer in making this happen. It gives you great overall momentum to start your week. 3. Make your social plans for the week, in advance - Second YES! If you know me, you know that I schedule everything out in advance. I hate missing things and I hate conflicting plans. The more planning you do, the less of this you'll have to deal with on a weekly basis. 4. Pick one primary goal for the week, and measure your success on that basis - This is a new one for me, but one that really opened my eyes. At any given time I am actively focused on 5-10 companies / campaigns / projects. I have now started picking out one primary or extra love item each week and making sure I stick to it. For example, last week was my new website! 5. Do your grocery shopping for the week on Monday - This one, I'm torn on. What do you guys do for your grocery shopping? I tend to go on Sunday and knock it all out for the week. 7. Don't check your email until noon - Ok, let's talk about this. Inc says that not checking your email until noon will allow you to plan out your morning better and get more done. I honestly don't think I could handle the stress of not checking my email by 6 or 7AM on Monday. I'd love to hear your thoughts on this! 8. Set alarm reminders to take five to 10 minutes to yourself every 1.5 to two hours - Another major yes. I set my fitbit to buzz me every 2 hours or so and during that time I take 5 mins to stretch, play with my dogs, or just step outside for some fresh air. This keeps my mental game on point all day. 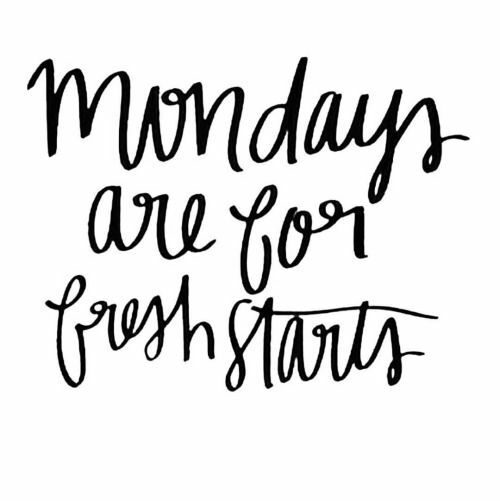 What are some of your favorite Monday motivation tricks? I would love to hear them! Please feel free to leave a comment here or find me on Instagram - @mallorymitchell.